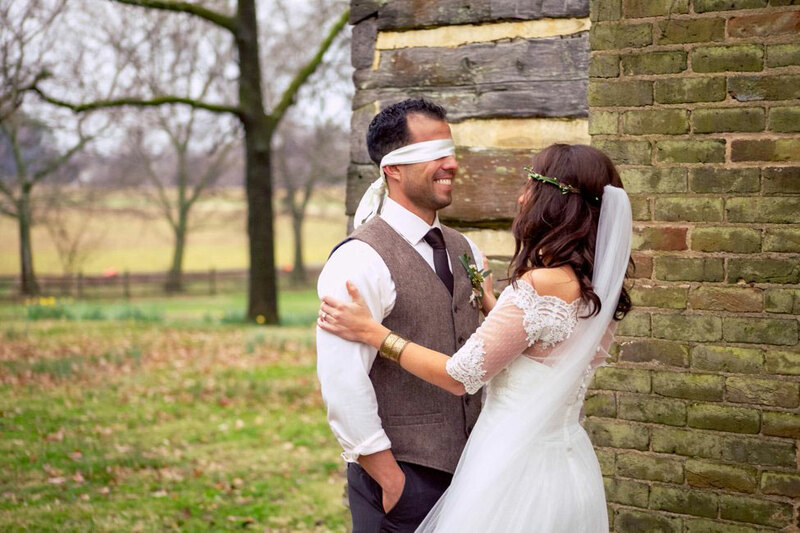 I have a sweet spot for today’s wedding from the wedding photography team at (once like a spark) Photography and I am pretty sure that you guys will too! 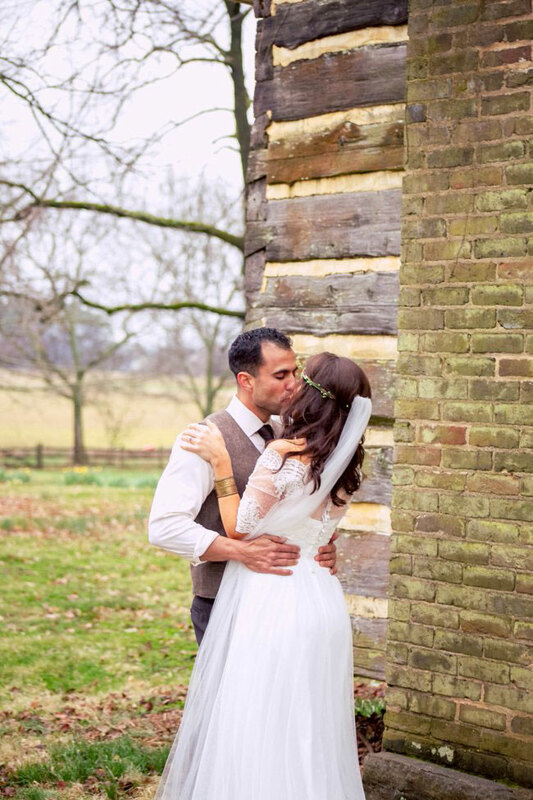 Elena Beguiristain & James LoPiccolo grew up in the same small town together, though never really connecting until later in life. 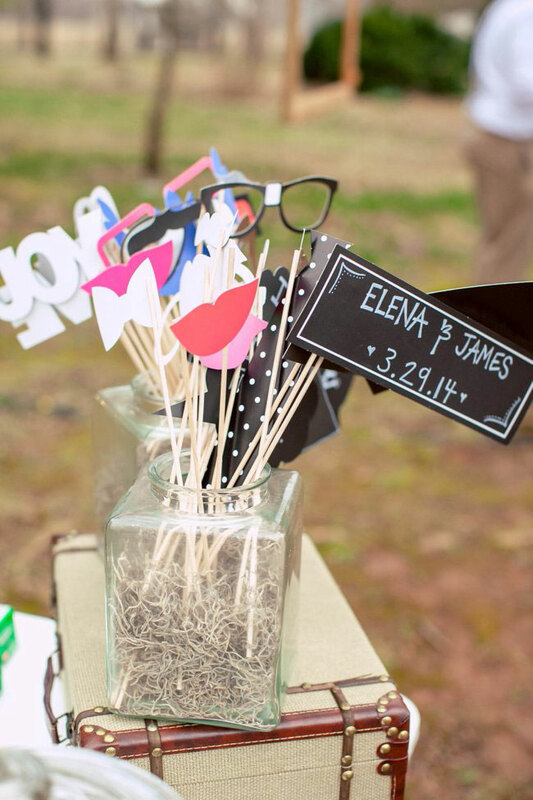 A happen stance meeting, a touch of confidence, James made his move on Elena & the stars aligned. 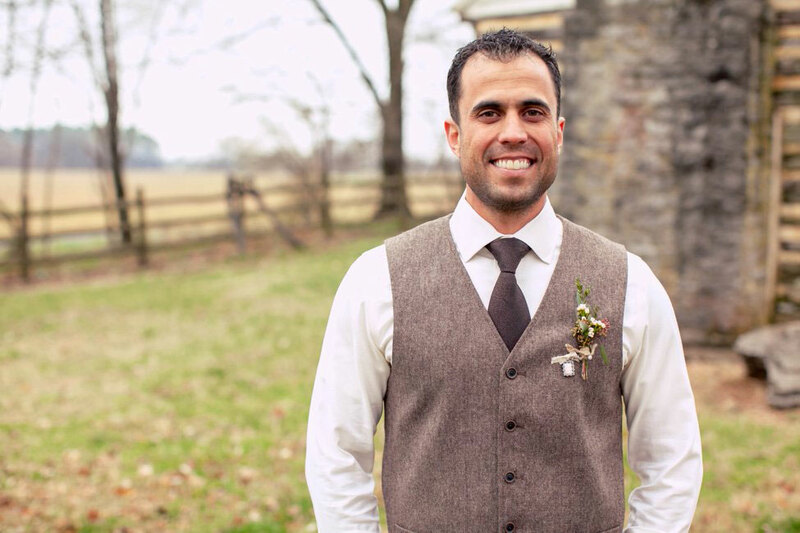 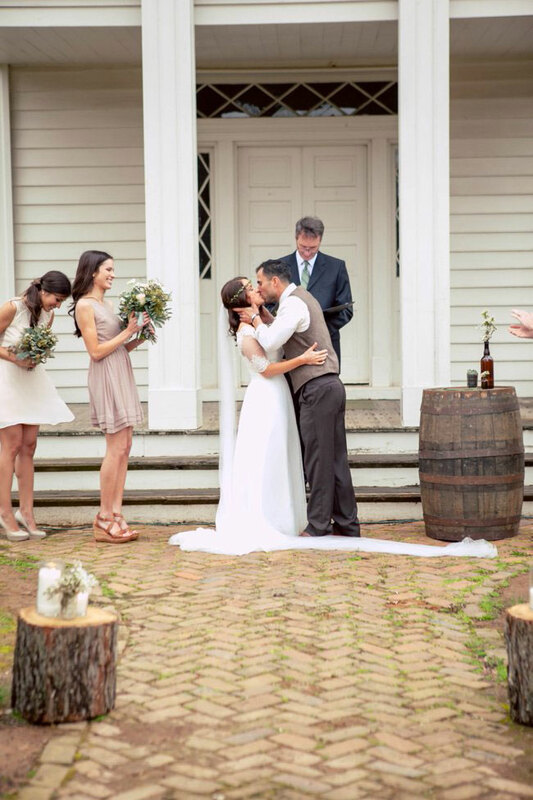 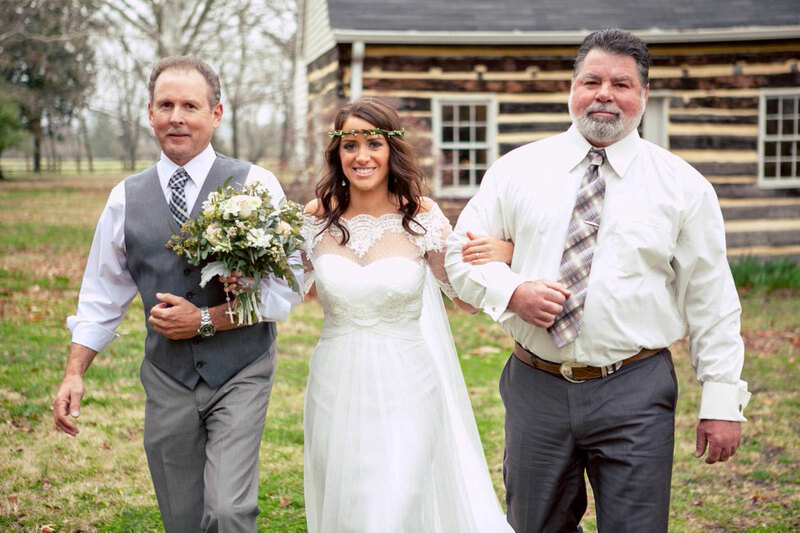 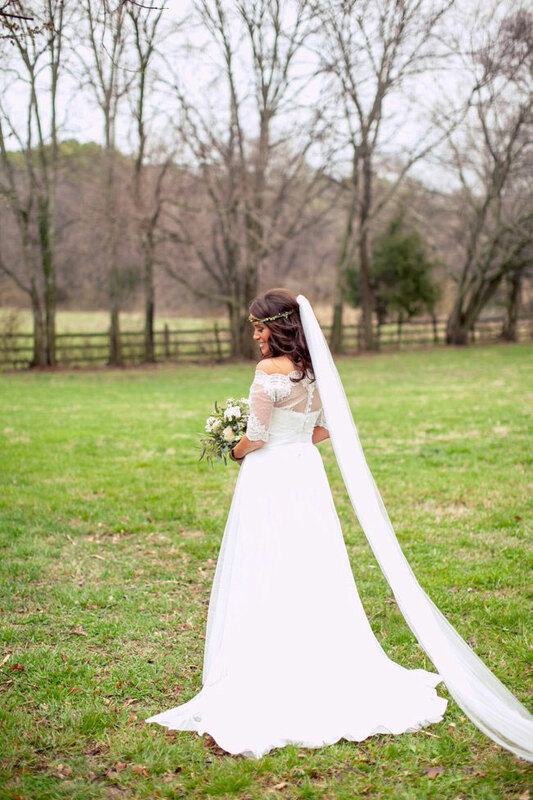 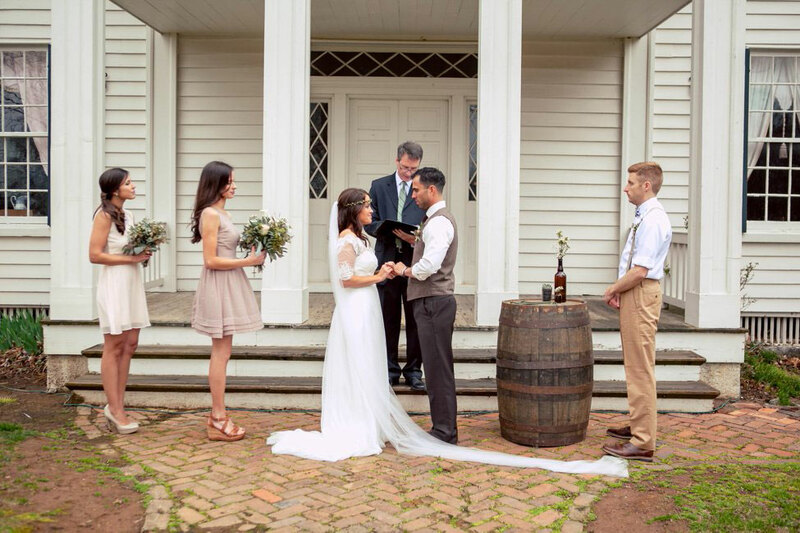 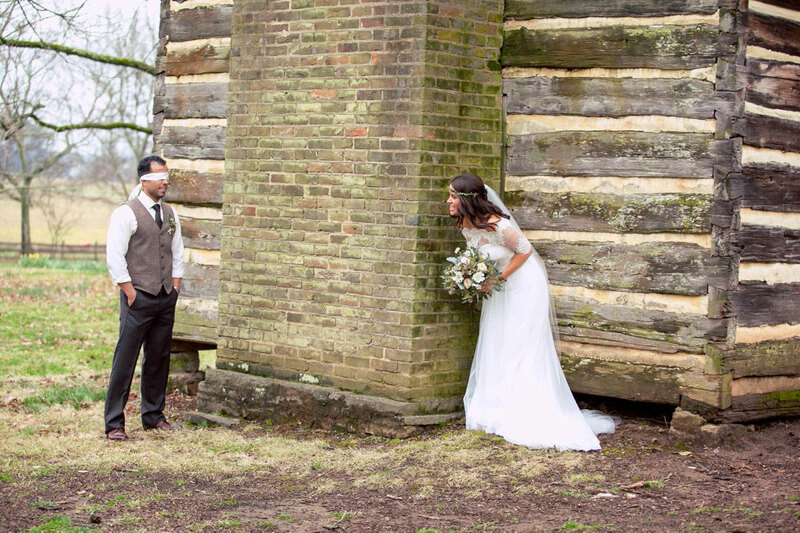 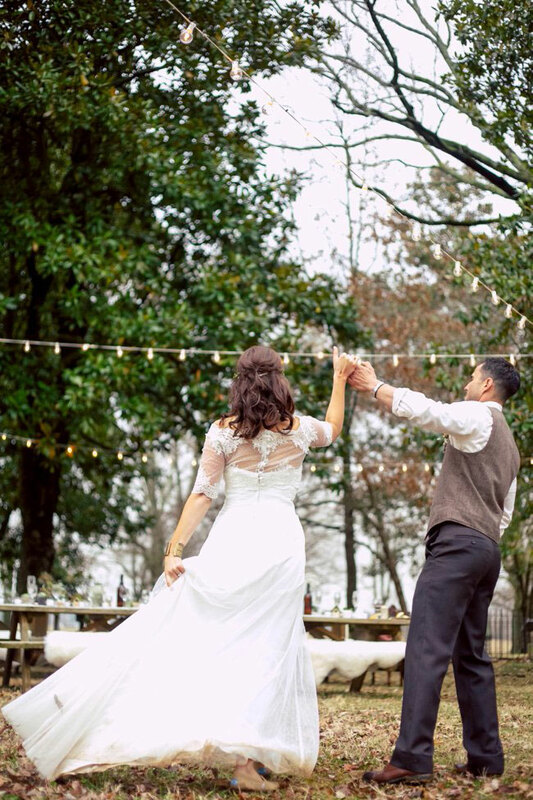 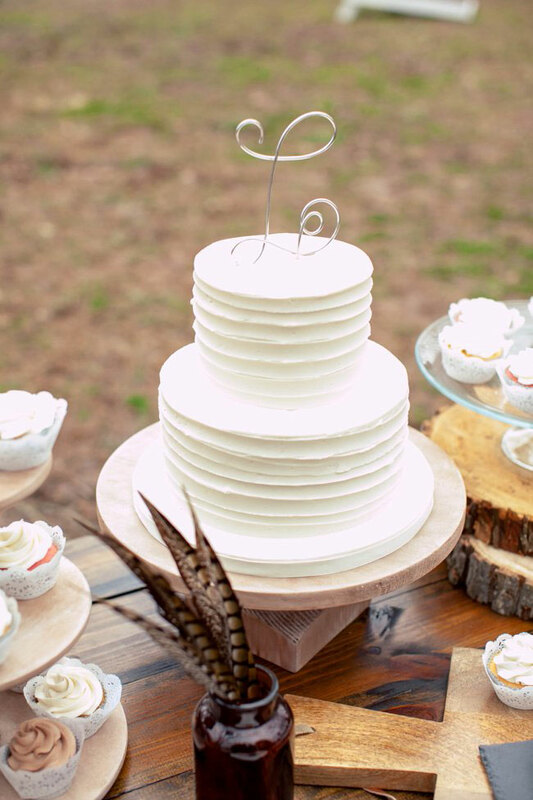 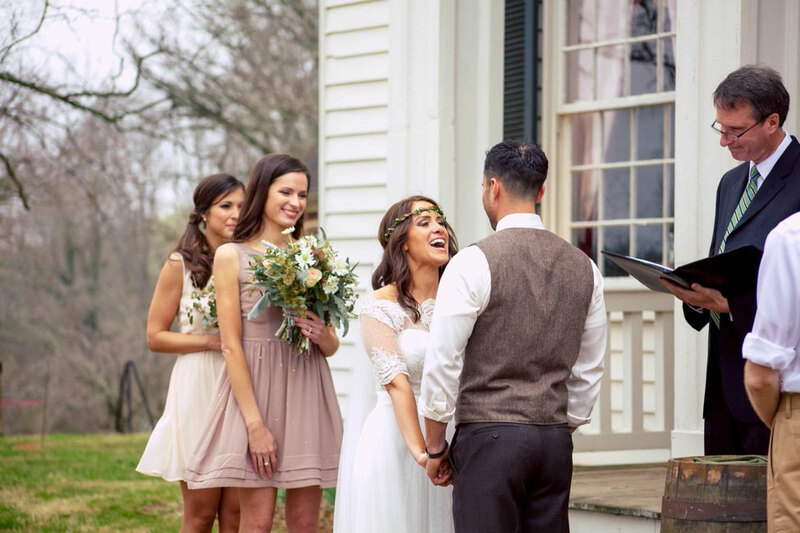 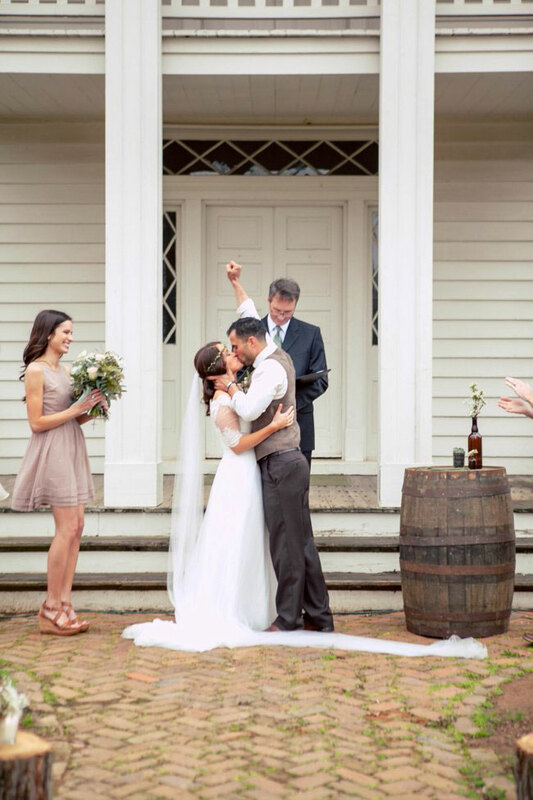 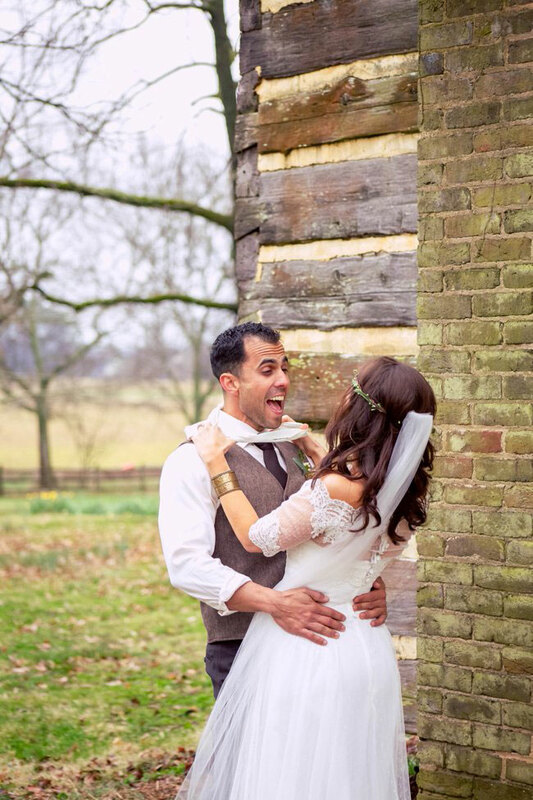 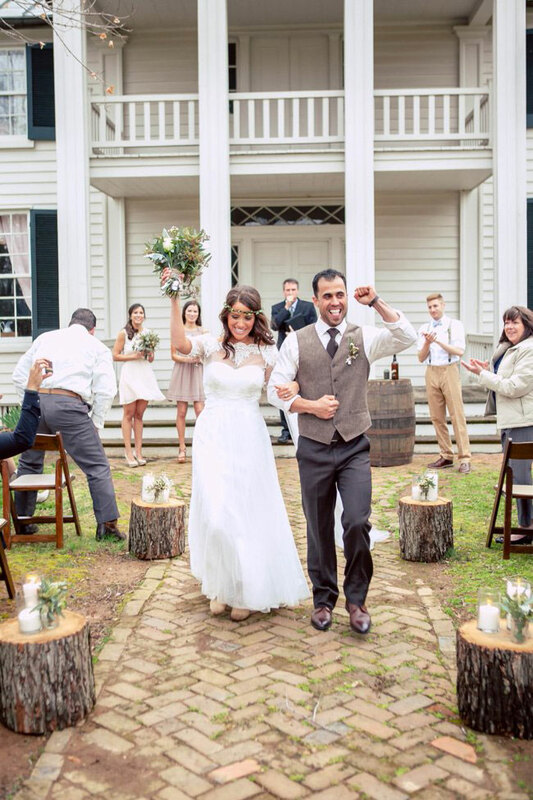 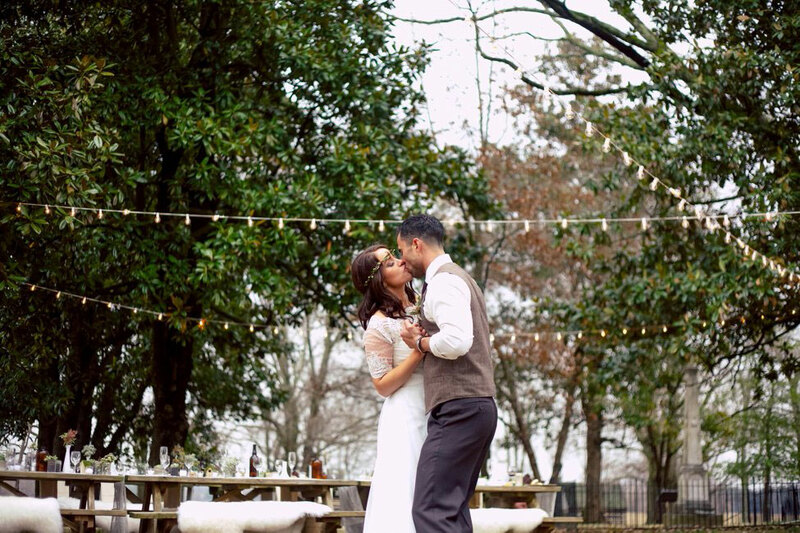 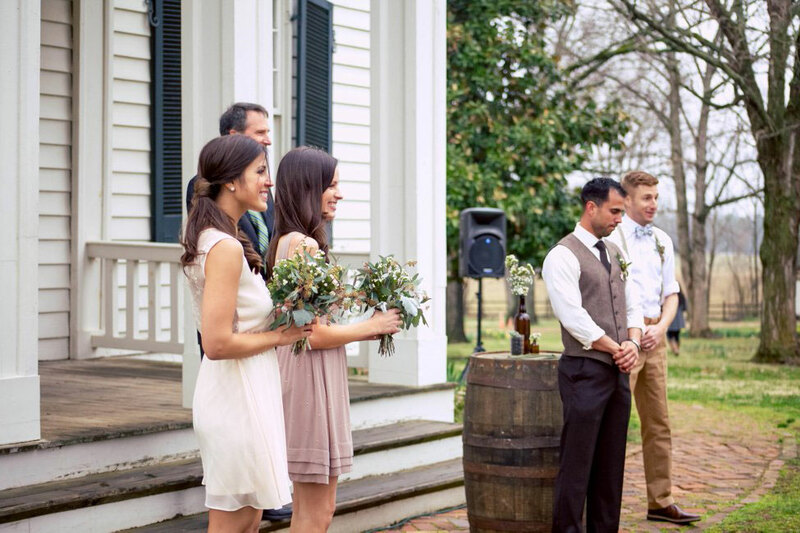 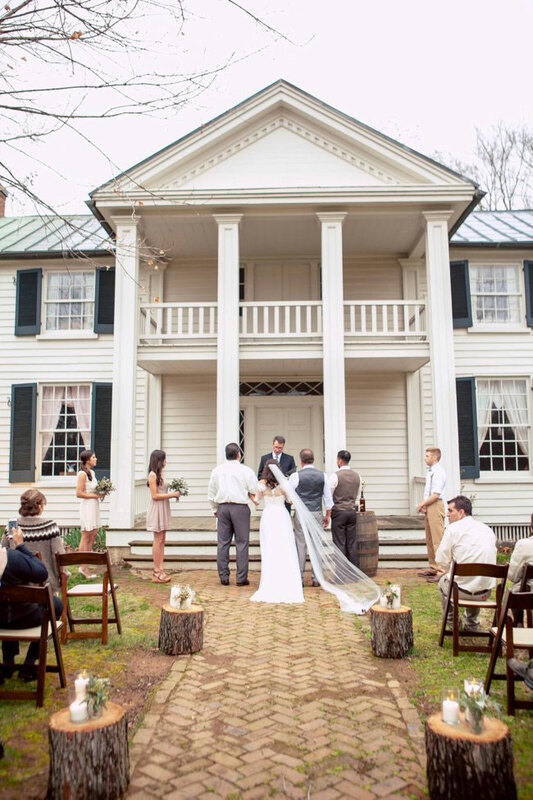 The couple gravitated toward the The Sam Davis Home in Nashville for their wedding, with its gorgeous mix of old history, vintage feel and the couple’s love for the outdoors! 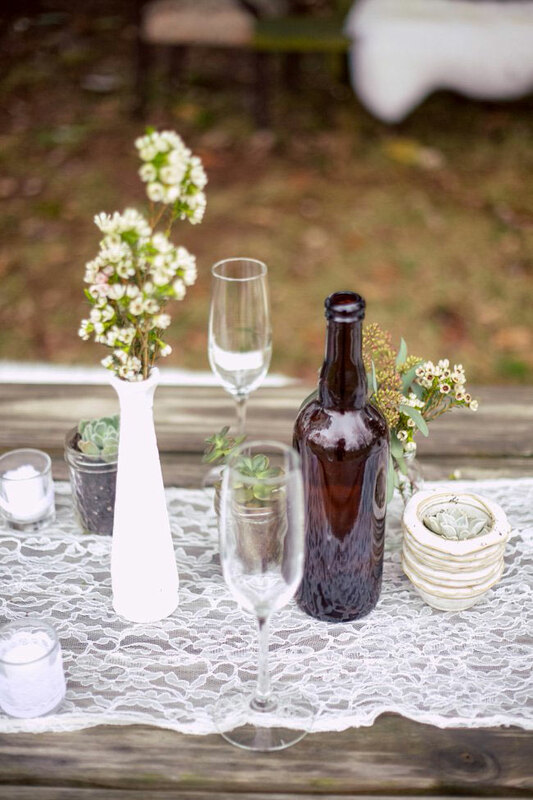 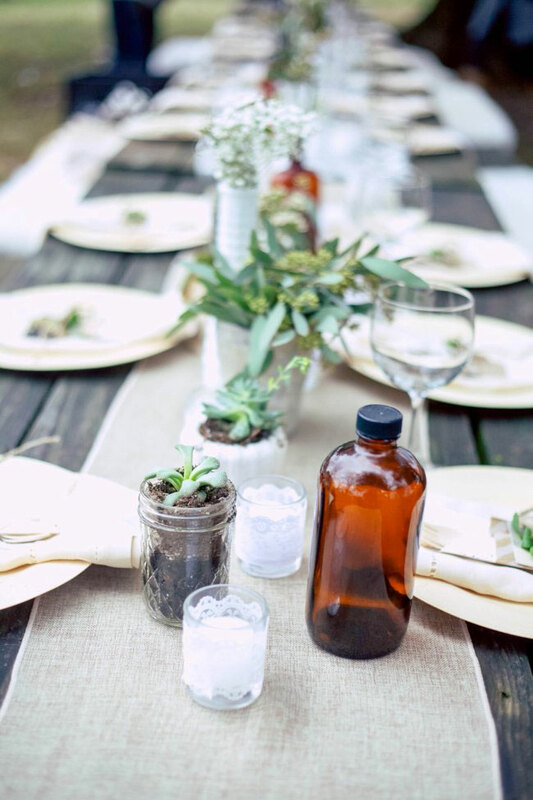 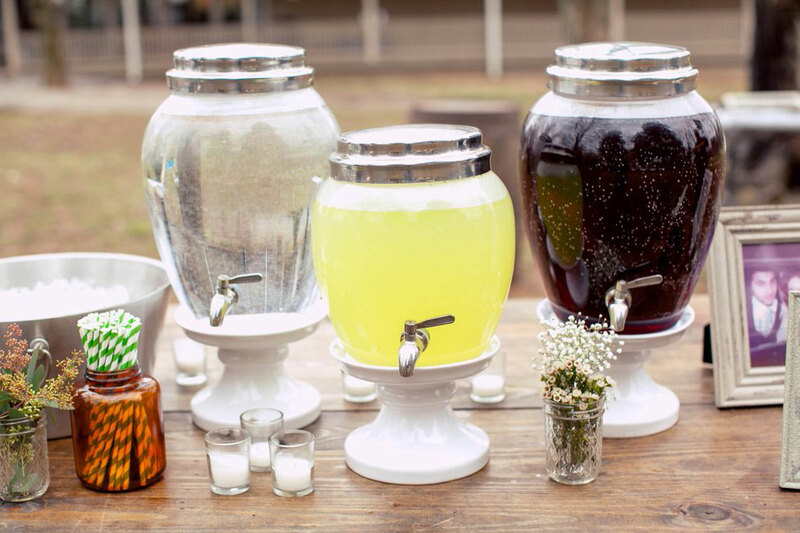 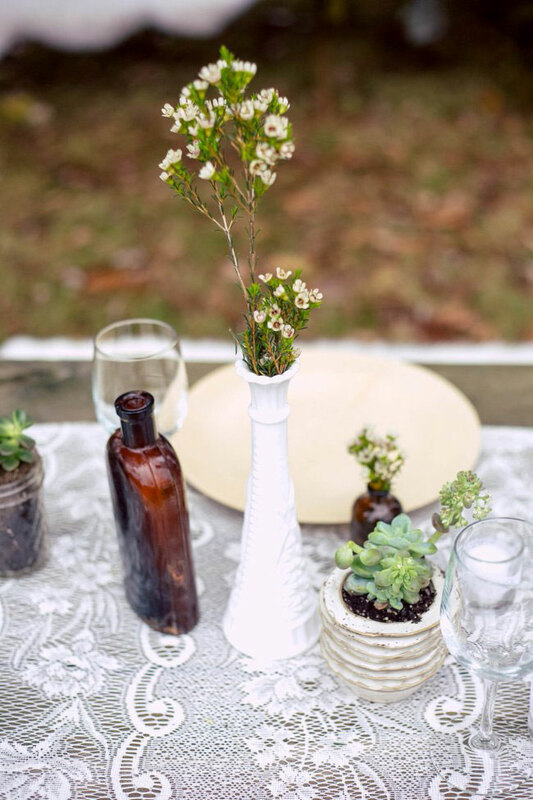 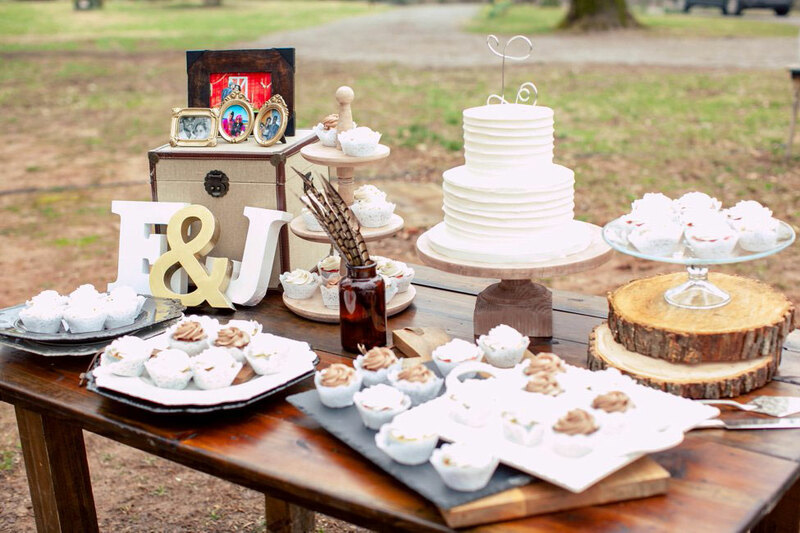 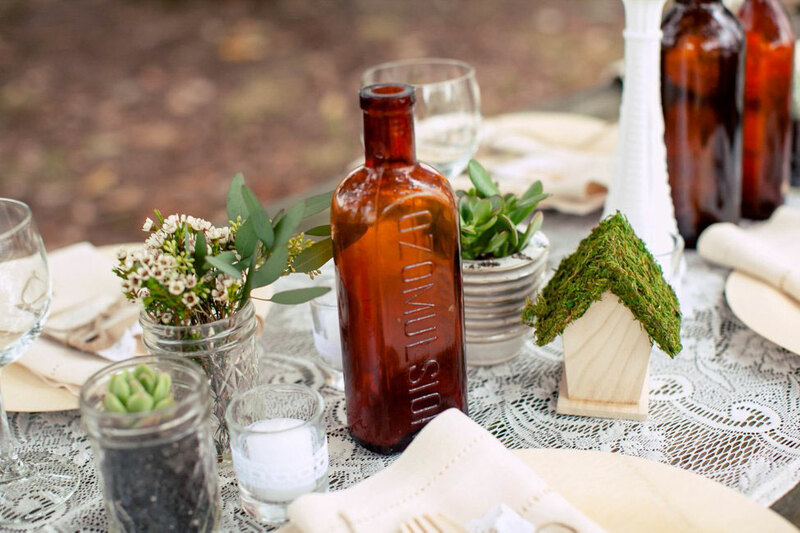 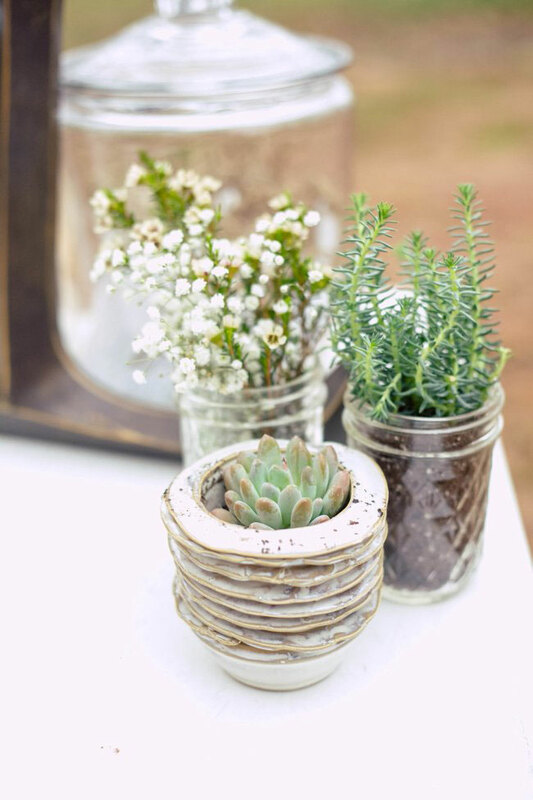 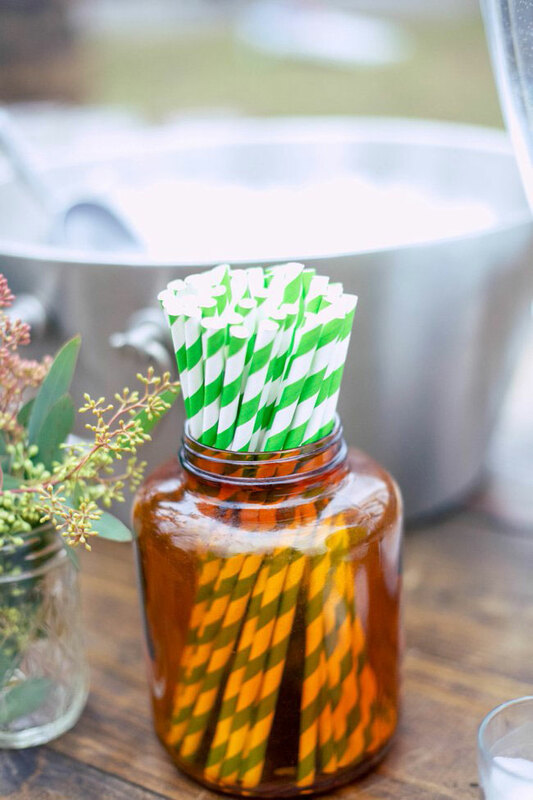 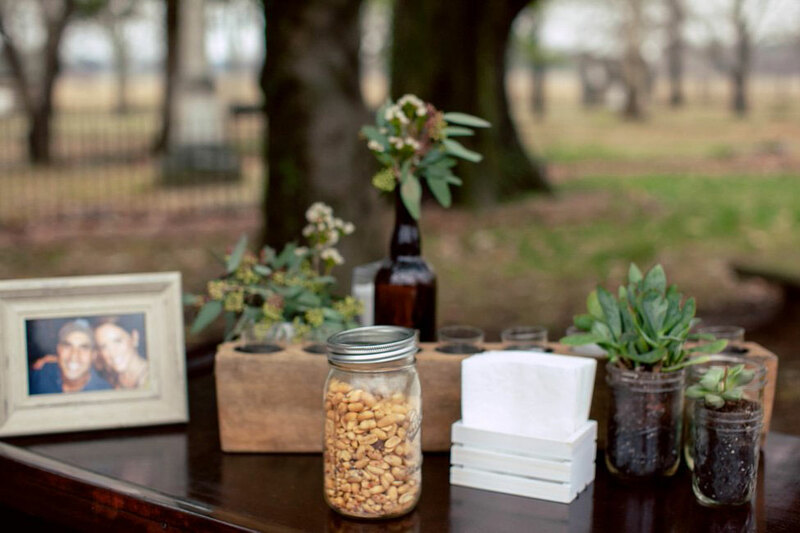 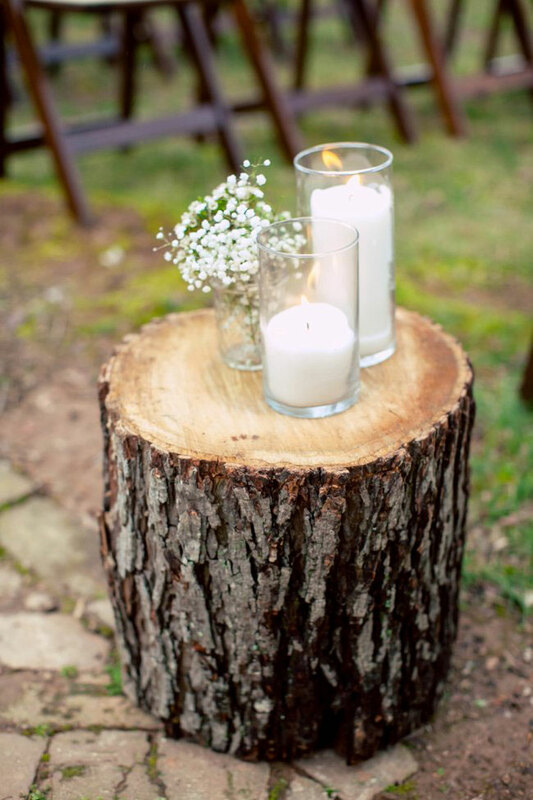 In hosting an eco-friendly wedding, Elena & James made sure every element was upcycled, reusable, and biodegradable leaving no carbon footprint after the wedding! 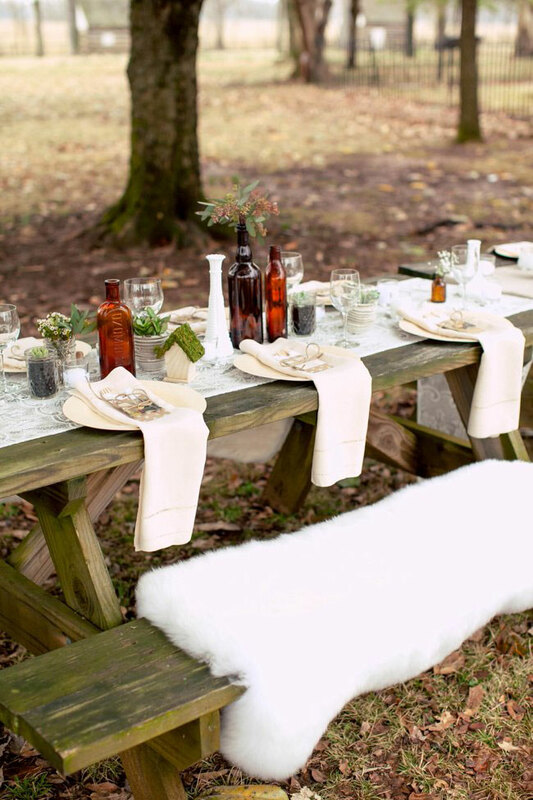 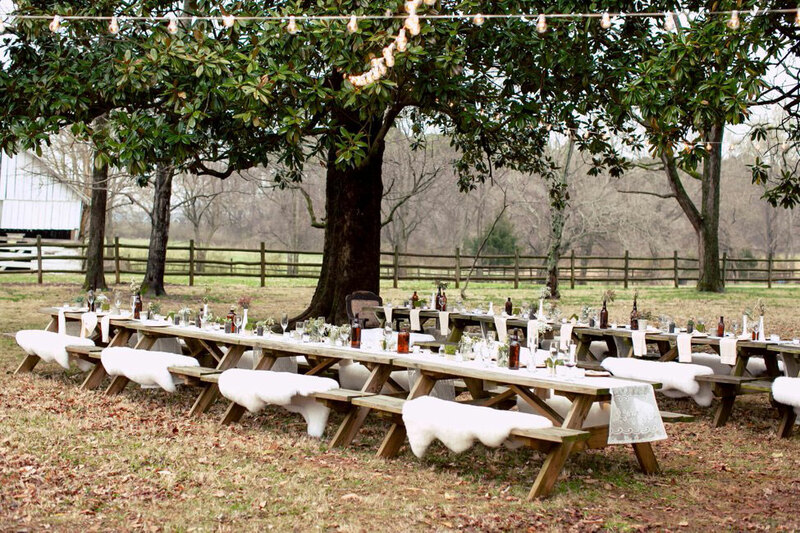 Trust me, you have never seen a picnic table look this lovely! 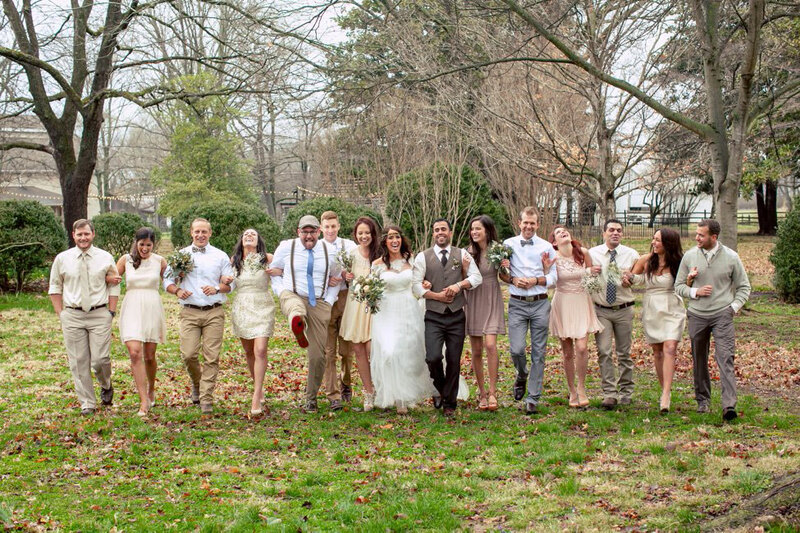 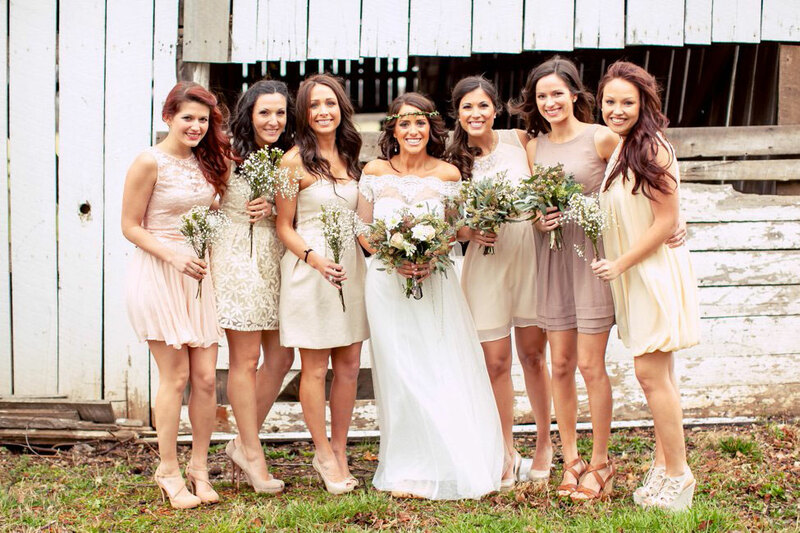 The couple’s stylish ways came out in more then just their eco-friendly wedding decor, but in spades in their own personal wedding day style & their perfectly mix matched bridal party in neutral natural hues. 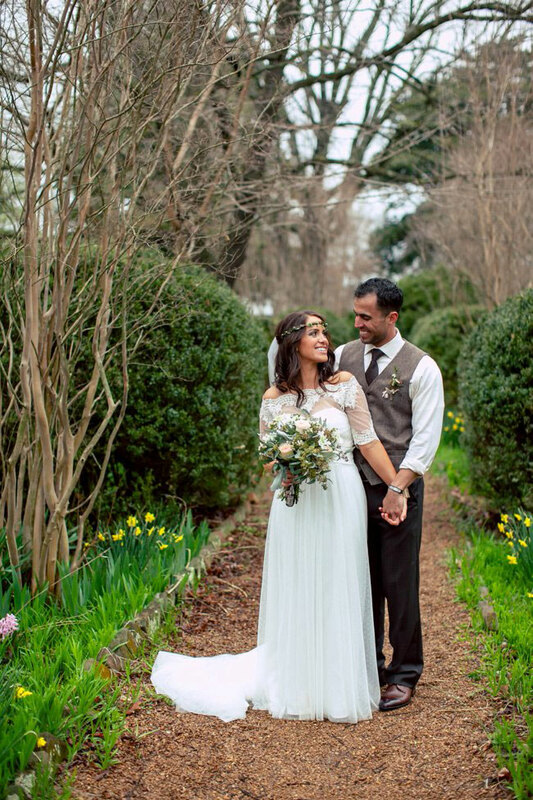 The is a warmth & beauty to this eco-chic wedding, from soft touches to whole hearted smiles, its hard not to crush on this one! 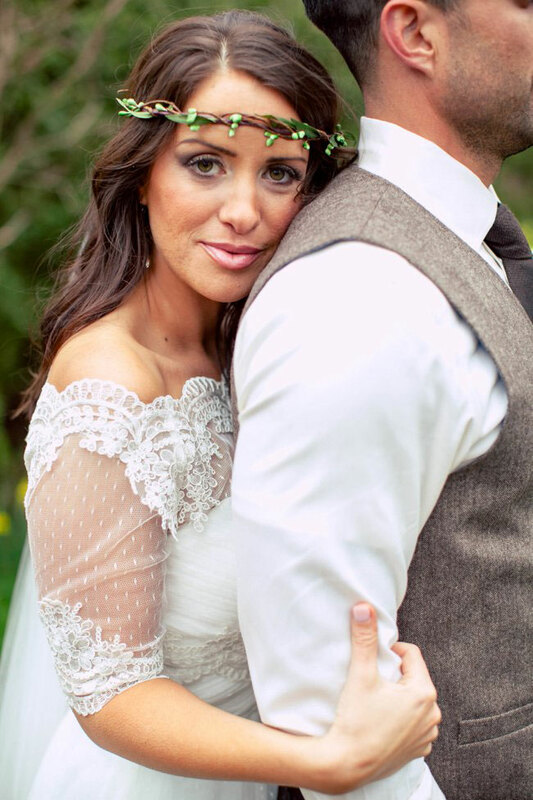 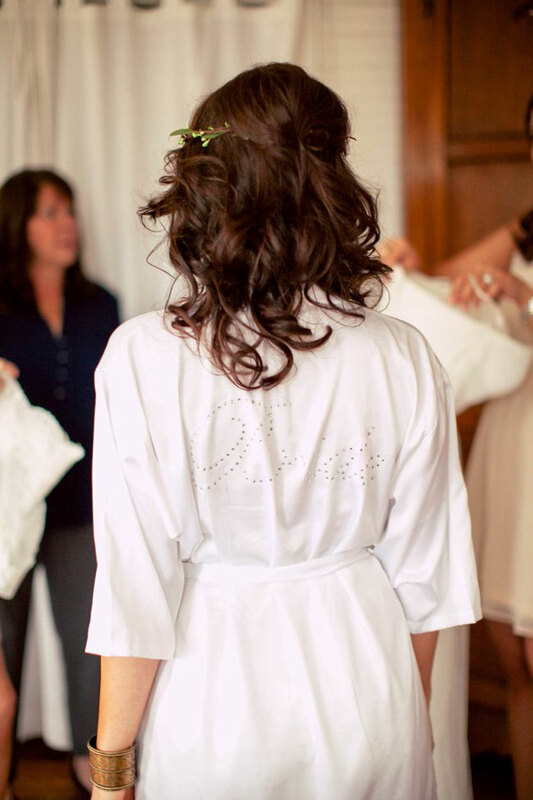 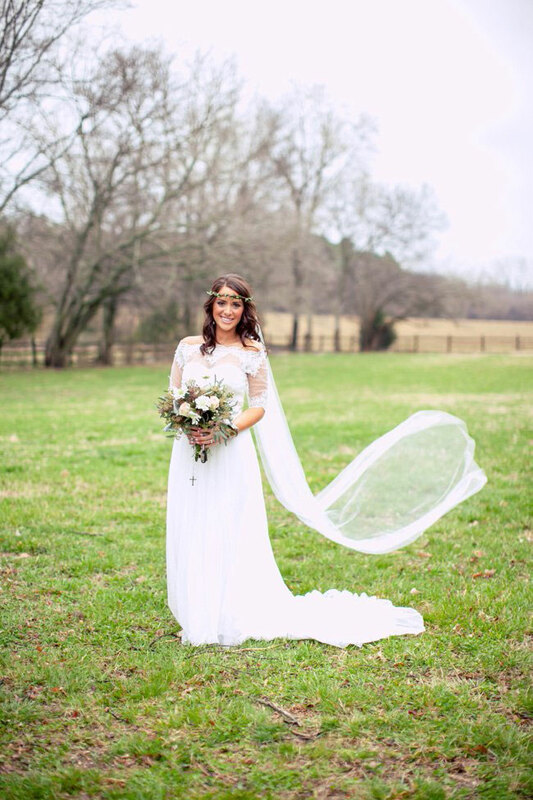 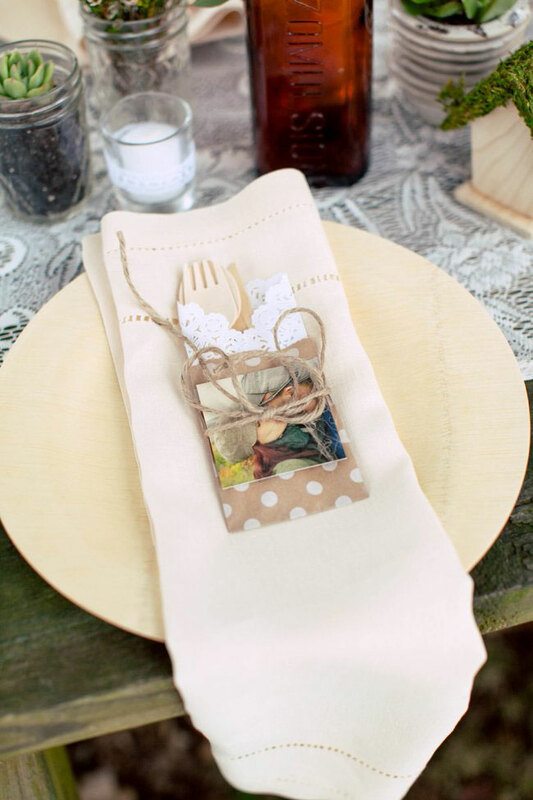 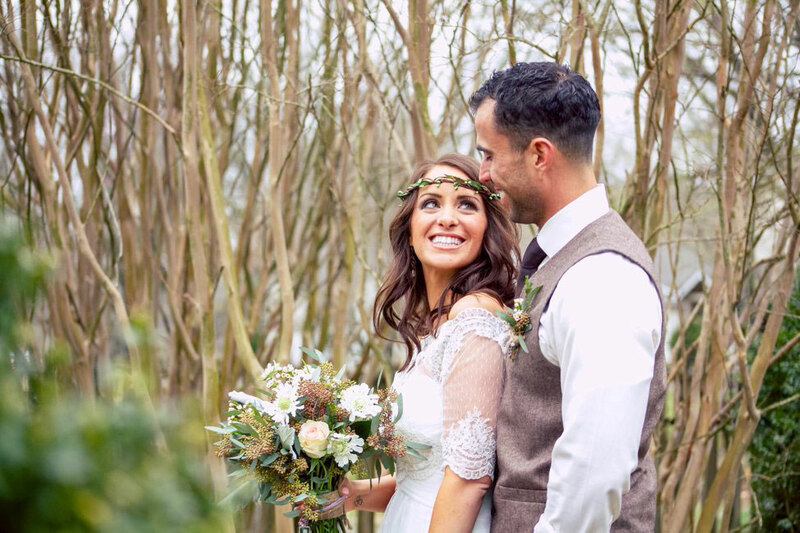 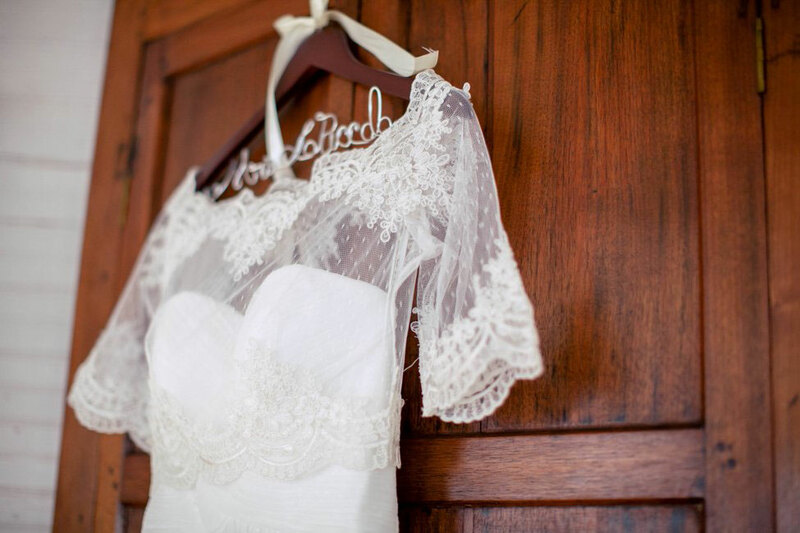 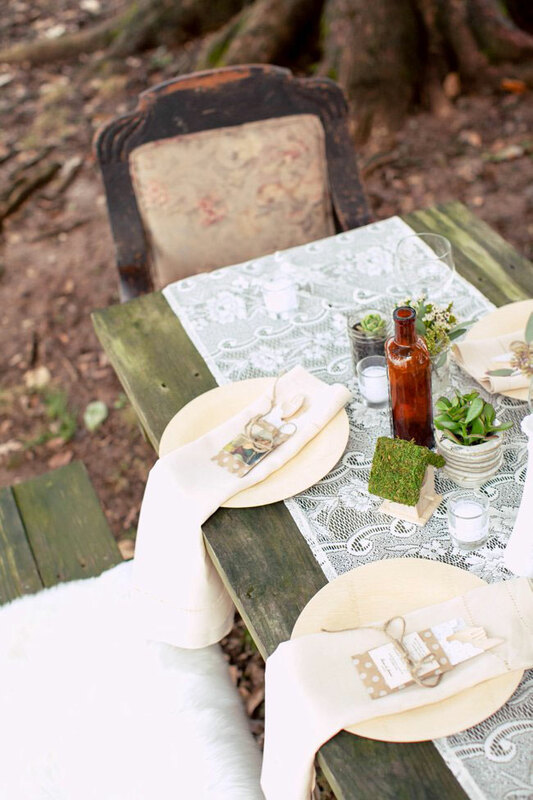 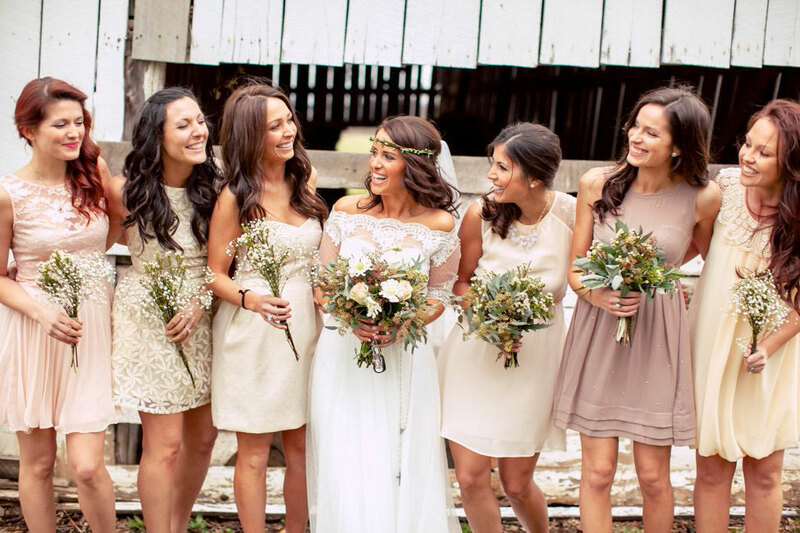 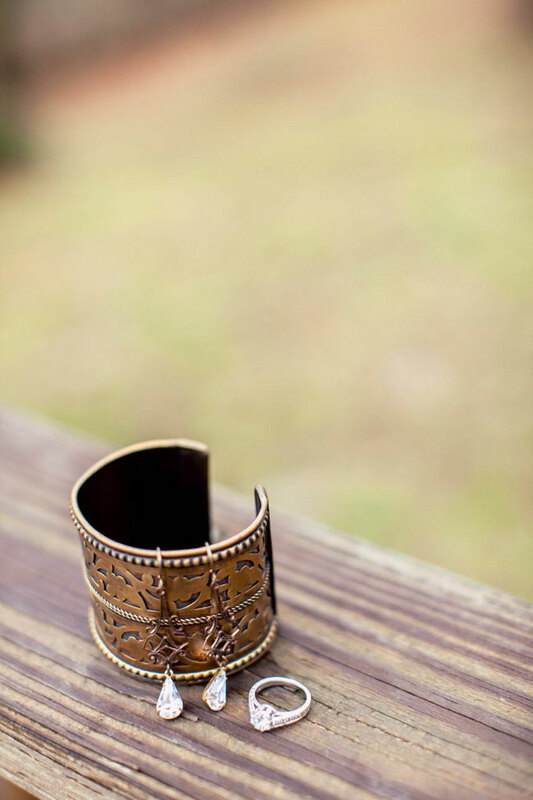 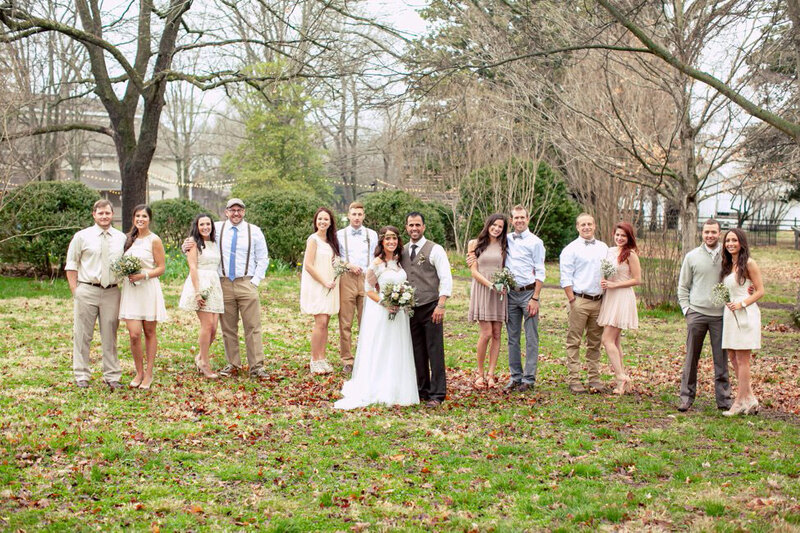 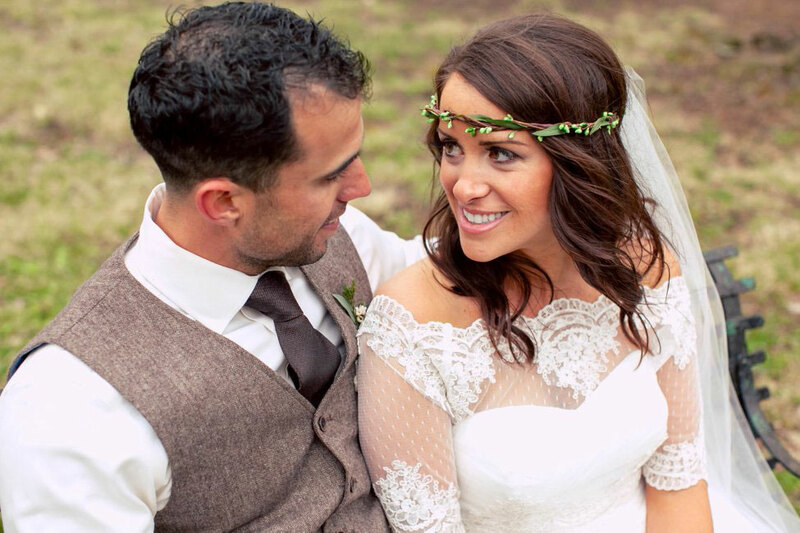 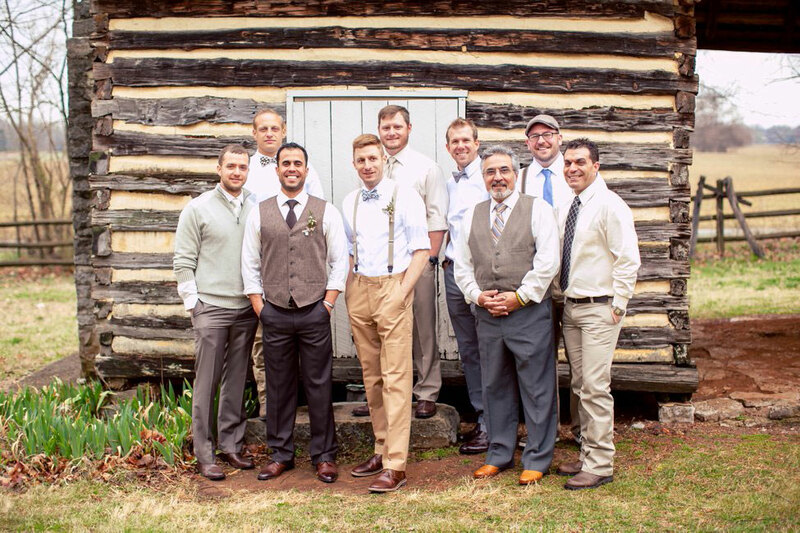 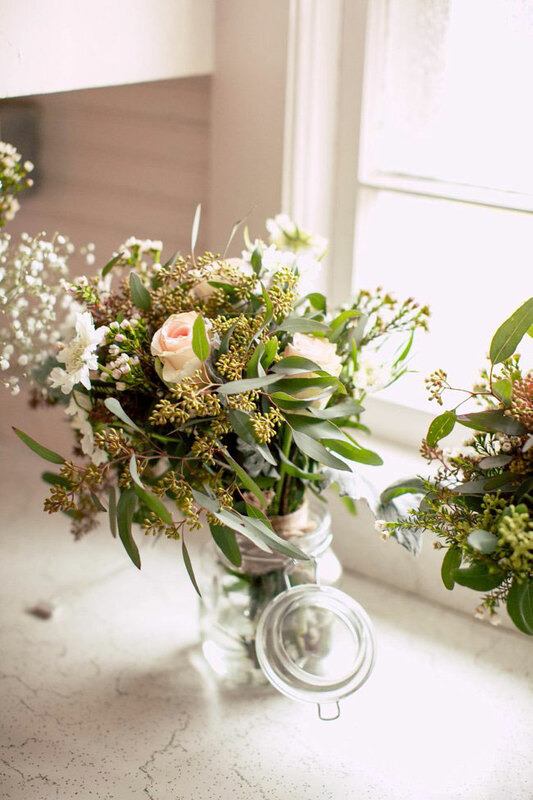 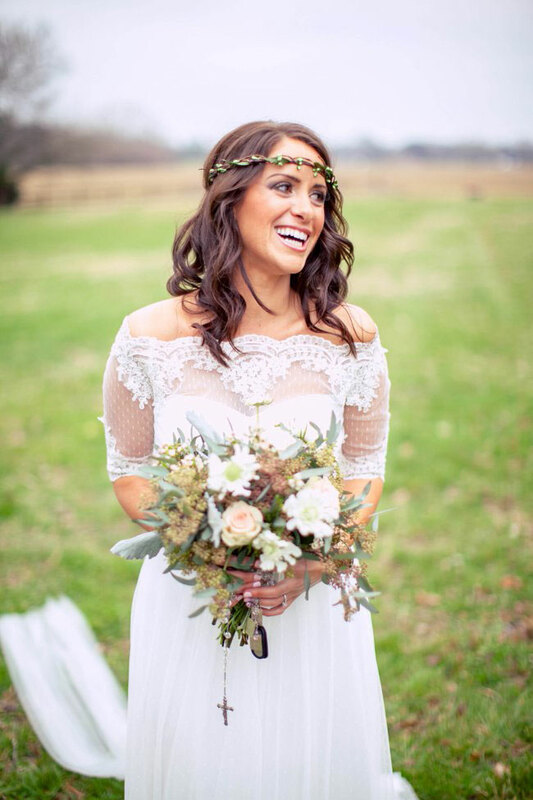 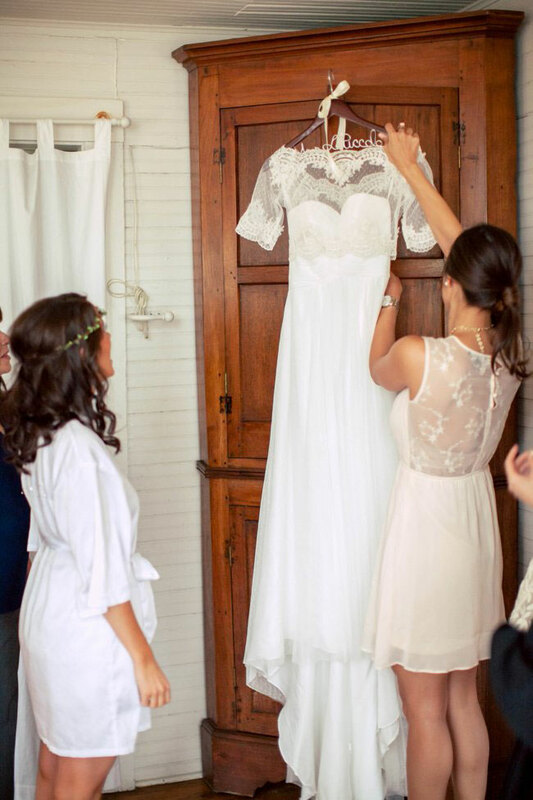 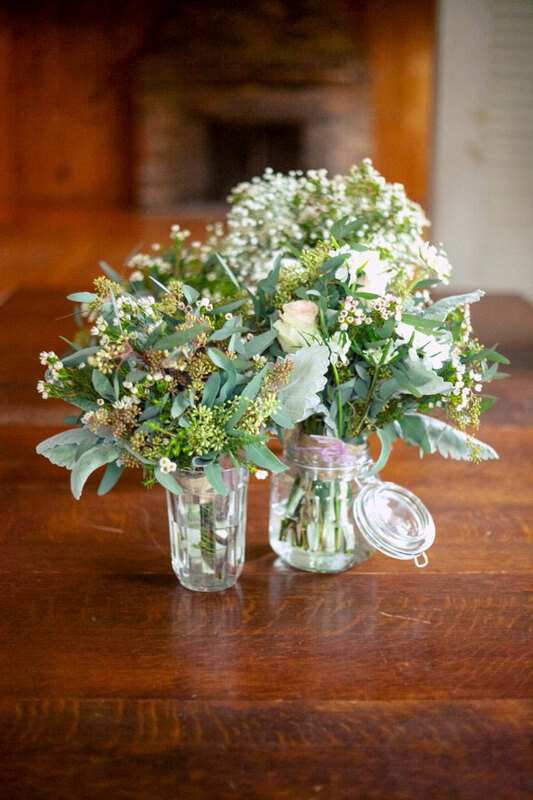 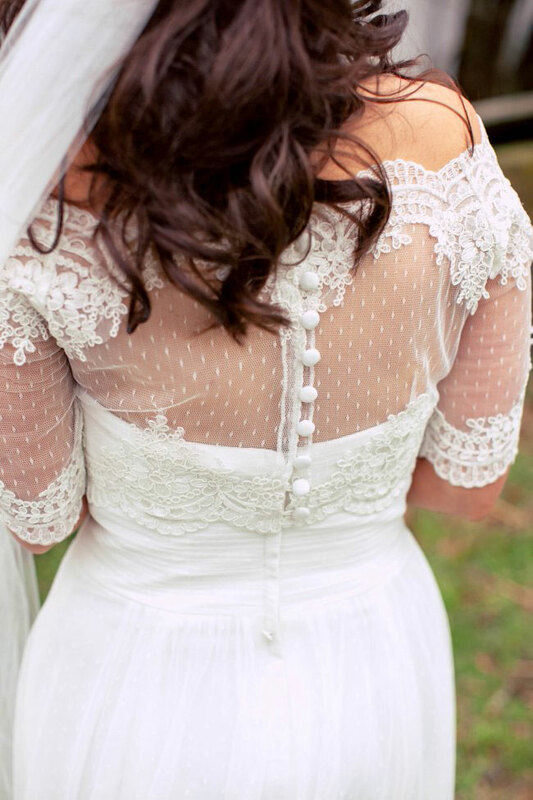 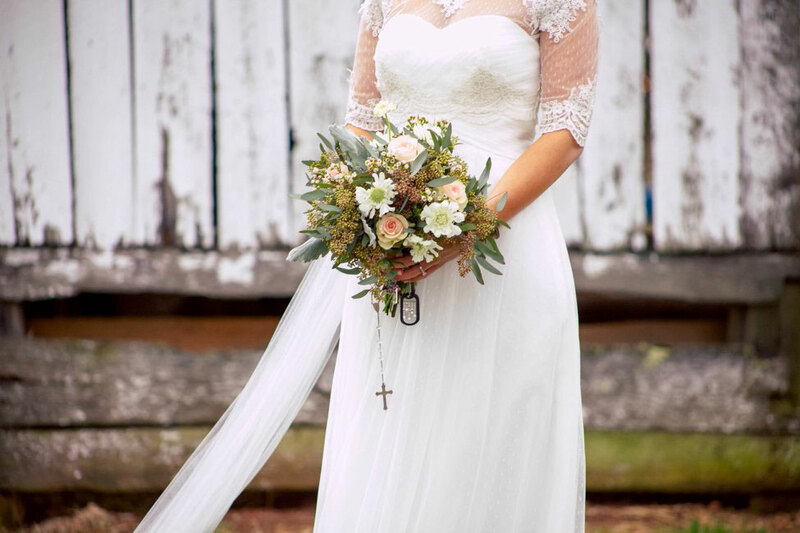 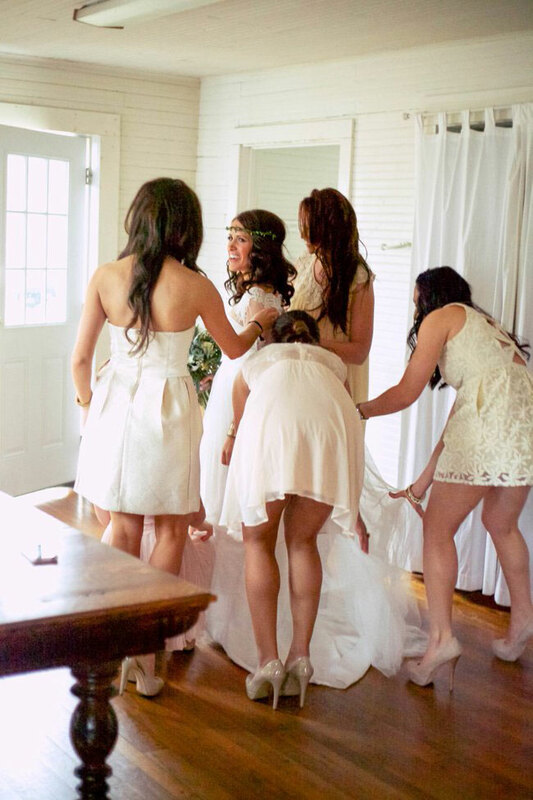 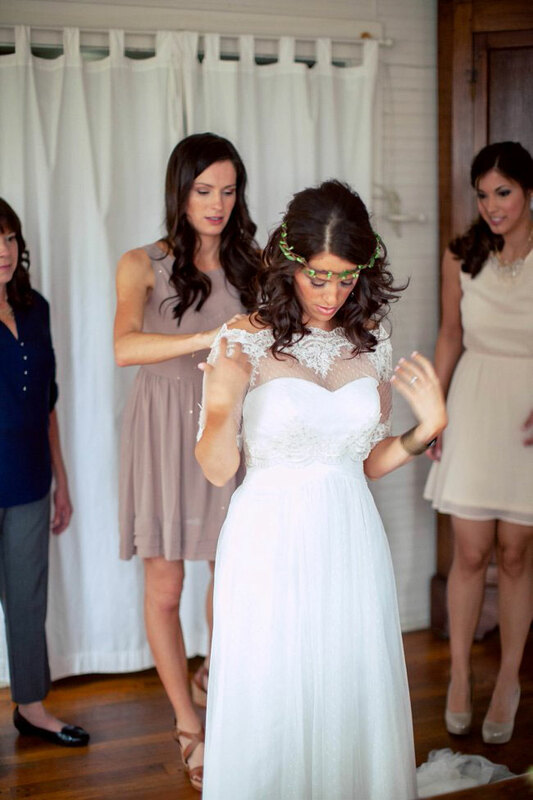 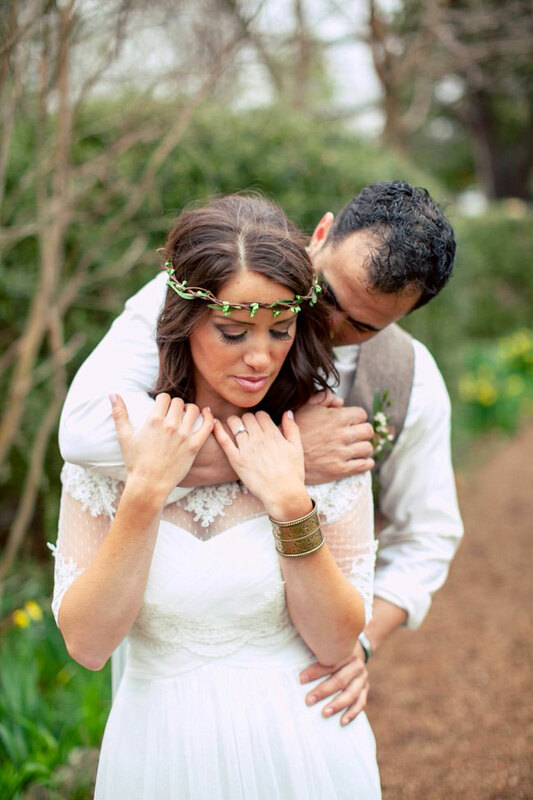 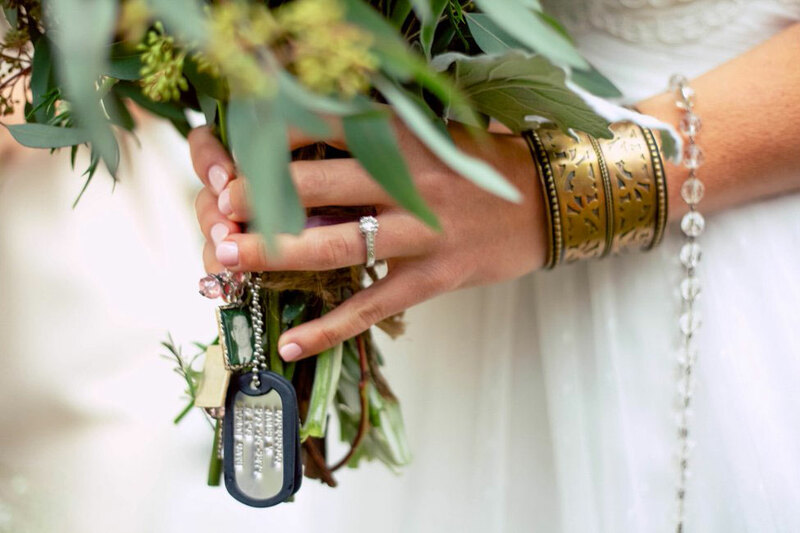 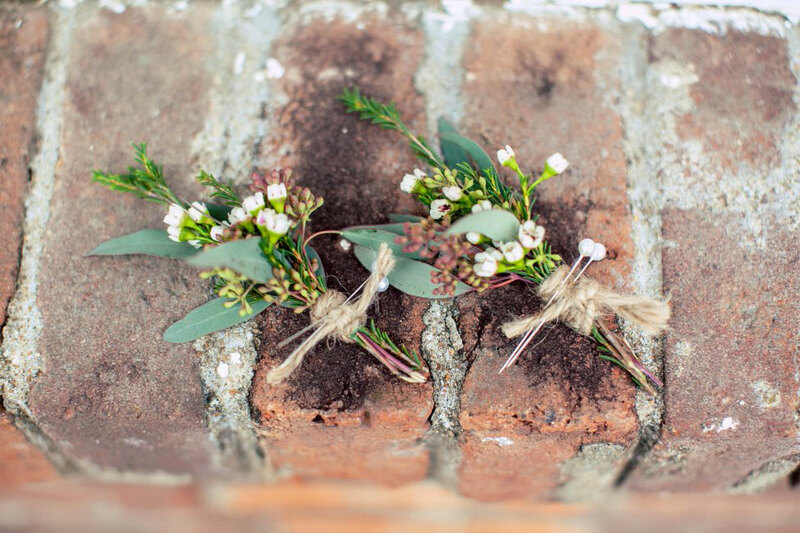 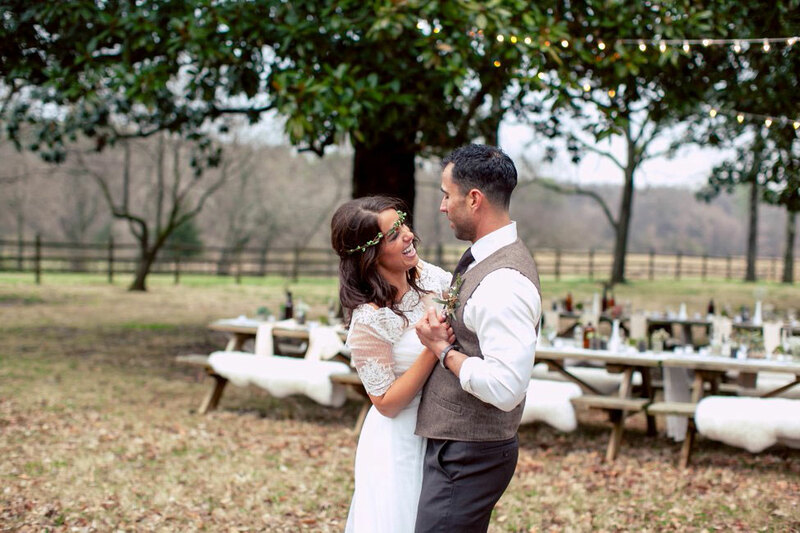 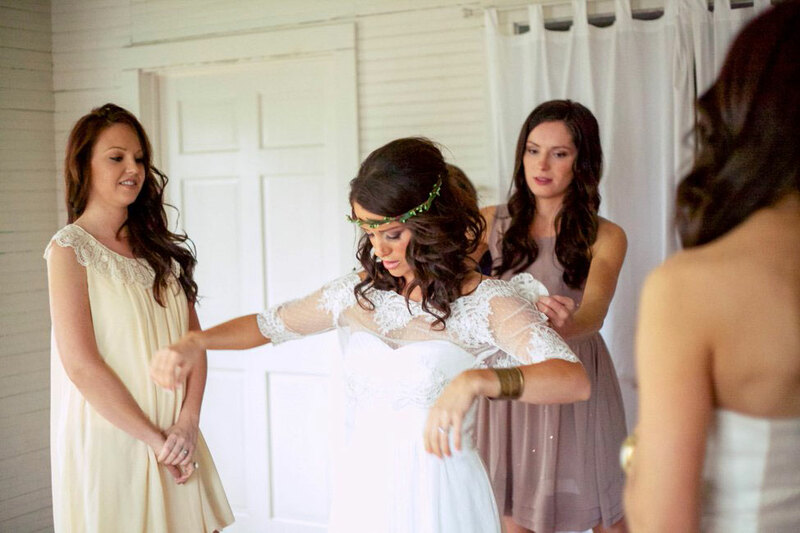 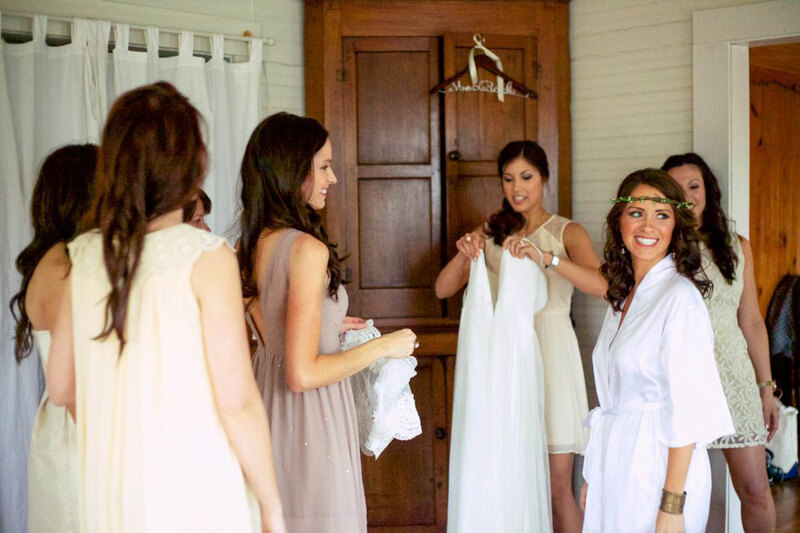 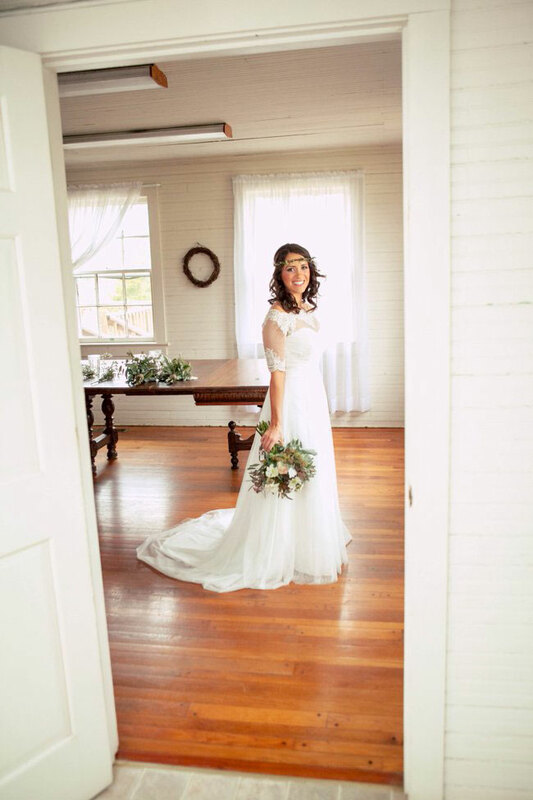 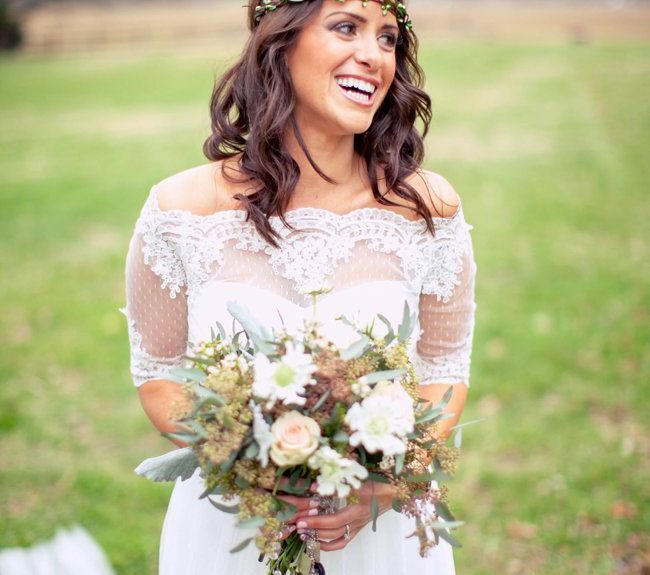 Their Eco-Chic Wedding ~ (We had a ) Rustic Vintage “Green” Wedding with Lace, Twine & Burlap. 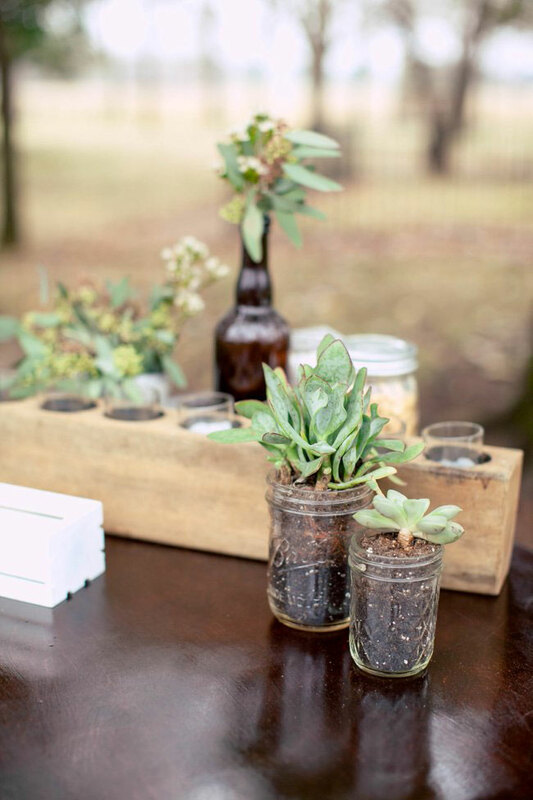 Everything was Upcycled, Reusable, and Biodegradable leaving no carbon footprint behind!